When it comes to such warm and cosy outerwear, layering is key. Simple cotton options make sense on warmer days, however this season is drawing out all of my love for more interesting textures such as velvet. Wearing this cami alone is unlikely to be an option considering the dropping temperature, and so layering it over a simple t-shirt updates it for the season. Another texture I love bringing into outfits is leather, however in addition to these Hobbs boots (just look at those heels - dreamy! ), a gorgeous leather choker by Dauphines of NY fills the negative space above the t-shirt. I have a feeling this year has seen the start of my never-ending fixation with chokers, this week alone I've bought three and I've already got my eye on another. Speaking of which, if you're looking for more dramatic versions, definitely pop into Zara and check out their most recent drop of embellished beauties! The options are endless when it comes to layering textures in Autumn, and I'm absolutely loving experimenting with them - and watching others do the same! Anyway I hope you all have a amazing weekend, whether you've got a busy couple of days ahead, or have planned 48 hours of candles and cosiness! Those boots are gorgeous! I love how you combined different textures here, too. Fall seems like the perfect time to play with textured layers and pieces. This outfit is on point! Love your shoes!! So beautiful gabrielle! That's a great jacket! I love such unusual combinations like "furry biker jacket"! Your jacket looks so cosy, adore the biker cut it has. You styled it beautifully and the pictures turned out amazing. Gurlllllll your boots is giving me life. I love it a lot! Definitely perfect for fall and winter. You look gorgeous. Hahaha, no furry and biker do not generally go together. But this is a super chic jacket. And loving your mani too, it is gorgeous. I have yet to master the art of layering but I'm slowly getting there. Love your outfit here, that boots and jeans made your legs look endless! Texture is one of the most fun things to play around with in Autumn, and you're seriously killing this look Gabrielle! I love that jacket! Ha, furry biker is definitely a description I didn't think I'd ever hear! This coat is so adorable though, I don't blame you for being won over by it! Have a wonderful weekend! Looking very pretty in layers, I like the white shirt and velvet slip top. Your jacket looks so beautifully soft, like a teddy bear but in a good way! I must say that your boots are absolutely amazing, I was staring at the picture of them for at least a minute and a half :) The colour is perfect! That jacket looks so warm and soft! I like this look, the jacket is really nice. I love your shoes too. You look so tall!! I kind of want a fuzzy jacket; you pull it off so beautifully! The colour of your boots + the whole outfit is two thumbs up!! I love this jacket; so unlike anything I've seen before! I'm also loving the layering trend at the mo, and the more textures the better! I have a similar pair of boots and I love them! They look so classy and the heel is just perfect and they can go with so many different styles! 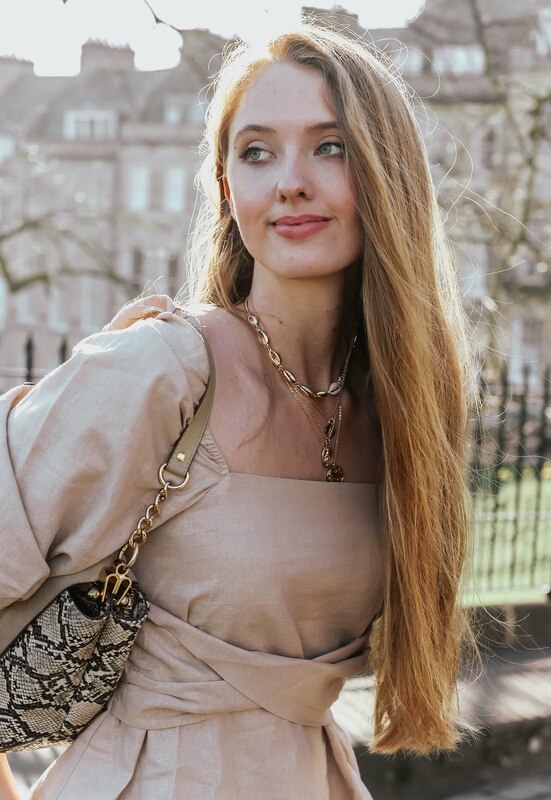 While I love the warmer months and the ease of throwing something simple and straight forward on, autumn and winter are so much more fun for clothing! You get a real chance to experiment, just as you have here and the finished look is just lovely! The way you paired it with velvet is so interesting. And layering is key, I agree on that. That jacket is so pretty. It must be so cosy. Simply stunning! Great styling as always! Happy Sunday! I like the cut of the jacket and I'd be curious to touch the cosy-looking material. Yes to the furry, teddy bear biker! I'm a huge fan of this kind of fabric, though I can't say I've ever seen it produced on a piece so tastefully (and which doesn't constitute as lounge wear)! I'm loving this biker! i am obsessing over this texture mix gabrielle! can't wait to try! everything is perfect here! I absolutely LOVE that jacket girl (I've never seen a furry biker jacket but I'm in love!) - looks so fab how you've styled it too! You look absolutely amazing pretty. What a beautiful look Gabrielle! You look stunning as always. You look fantastic. The biker jacket cut is very versatile and goes with many fabrics and textures. I really love this particular piece. you look great as always.. I'm in love with this jacket, it's so unique! I don't believe I've ever seen a moto style fury jacket before, which makes me love this one even more and it looks very cozy, perfect for fall! I'm also swooning over those ankle boots, they're gorgeous! Thanks so much for sharing, beautiful, and I hope you have the most amazing week ahead! Oh I love the jacket. It looks so soft and cozy! You look simply stunning and your boots are great too! Gabrielle, you look insanely gorgeous in everything you wear! I just love coming to your blog and seeing what you're up to, hehe! Love the jacket, and those boots are dreamy! You make 'texturing' look so easy! Much love! Love those boots! such a chic and pretty look. That jacket looks so cosy! Gorgeous look, I love the combination of velvet with the furry jacket, so warm and cute! I love the way you layered your velvet cami over the tee and then wore the furry moto jacket - unusual juxtaposition, but it works! - on top. The combination of textures makes the look interesting and fun. Thanks for sharing! Gabrielle, that puts a new twist on biker jacket! I love the texture of the material. Looks so good! I also love the peplum layer and THOSE BOOTS! Love the buckle on them. Beautiful outfit from head to toe. That jacket looks soft to touch! Fall is one of my favourite seasons since you get to dress up in wonderful layers, but not heavy enough like the ones had to wear during winter. Love this look! The fuzzy coat and brown boots are fabulous! Your boots look amazing! And the vest - so cozy!! Your jacket looks so comfy ! Such a nice fall outfit.